Initiatives – CHI Centers, Inc.
CHI is working to create an environment that grows empowered self-advocates. We help a self-advocacy group offer training and other empowering opportunities to people we support, and are developing training for staff in this area. In 2017, CHI began the journey towards improving health and wellness. CHI received support and guidance from the State of Maryland in the successful implementation of the 12-week Health Matters program for a group of individuals we support. CHI’s continued wellness activities have included regular meetings with our WAVE committee, a WAVE newsletter, a healthy snacks tasting event, the 100-mile challenge, promotion of prevention of influenza, and the posting of vibrant posters encouraging health/wellness topics such as increasing activity or making better food choices. 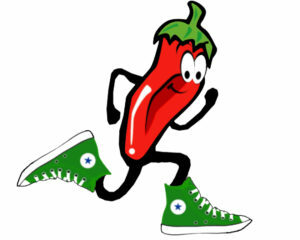 CHI is looking forward to continued health/wellness activities such as starting a walking group on Tuesday’s at CHI at 11 am known as the Red Hot Chili Steppers (start date 6/12/18), a health fair and a cooking/chef night at our group homes beginning June 2018. In 2015 CHI transitioned to a new CEO and, together with the Board of Directors, initiated development of a new 3-year strategic plan to set the organization’s future course. This plan incorporates contributions from Board members, CHI Staff, people we support, and family members. All of these voices offered perspective and informed our strategic direction choices. The process included an analysis of internal operations and the external environment and many planning work sessions where we all worked together to agree on a plan that we are energized to implement. The three fiscal years July 2018 through June 2021 is a period of strengthening our organizational core with six inter-dependent and equally important transformative goals. Each goal includes three to five key objectives. We will track specific success measures to document evidence of accomplishing each goal. We will develop an annual action plan detailing activity, assigning responsibilities, and indicating resource requirements to implement the plan successfully. The CHI Board of Directors approved this plan April 24, 2018. Click the button below to view the plan.